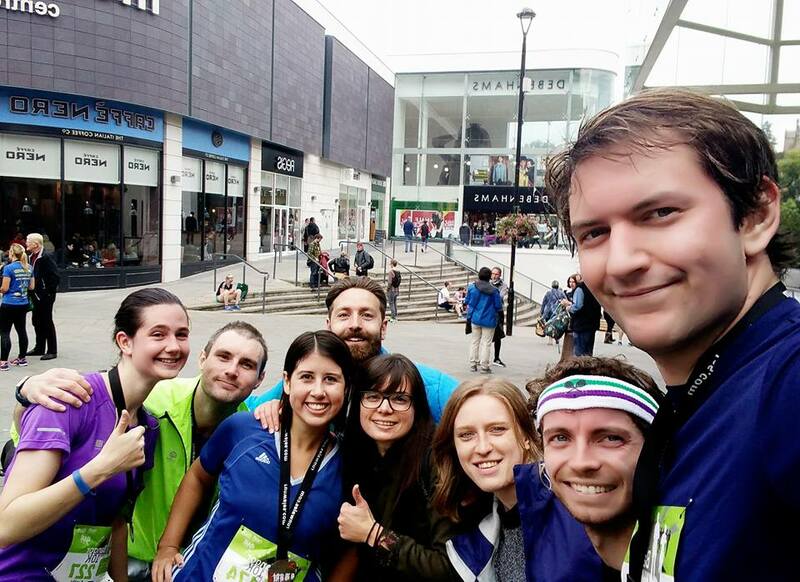 The Trust aims to empower local communities to make a difference. George was only 26, but he was a young man who had managed to squeeze so many things into his short life. From ski instructor to St John Ambulance volunteer; top class photographer to brilliant baker, George developed an array of skills and the Trust aims to empower local communities around the UK to support other UK young people in enhancing their skills. GBCT is supporting the Black E Project in Liverpool to run a ten session cookery skills and nutrition course for around 16 young people. The Black E was launched in 1968 as the UK’s first community arts project and today provides a range of youth arts and education opportunities in the community. 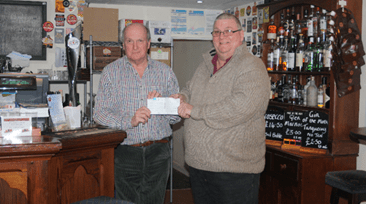 George was both an enthusiastic and excellent cook and baker, so the GBCT is delighted to be able to support this initiative with a grant of £1800. The John Muir Award is an educational initiative that delivers opportunities for outdoor learning, conservation volunteering and skills development to young people. The John Muir Trust is currently expanding access to the award in Wales with an aim to enable a further 6000 young people to participate. GBCT is proud to be supporting this initiative with a £1500 grant that will enable the training of additional providers. A grant of over £1600 is being made to CRIMINON, a charity that works with young offenders to assist them in their education and rehabilitation so that they can make a positive contribution to society. GBCT’s grant will be used to fund further provision of CRIMINON’s highly regarded distance learning courses that cover a range of subjects including: reading and learning skills; self-respect and confidence; and problem solving. The Trustees understand from reviewing this application that nearly 50% of young offenders have no school qualifications at all, so are pleased to support this initiative and the young people involved in developing a range of skills that may often be taken for granted. You can keep up to date with these projects and others on our social media – Facebook and Twitter. The Trust aims to empower local communities to make a difference. One of the ways in which GBCT enables this is through supporting volunteering among young people. George was a great supporter of St John Ambulance’s LINKS (student) units and was a role model for many of their members. GBCT is proud to be continuing George’s great work with young people and in furthering awareness of life saving first aid skills, by supporting Young Kent. 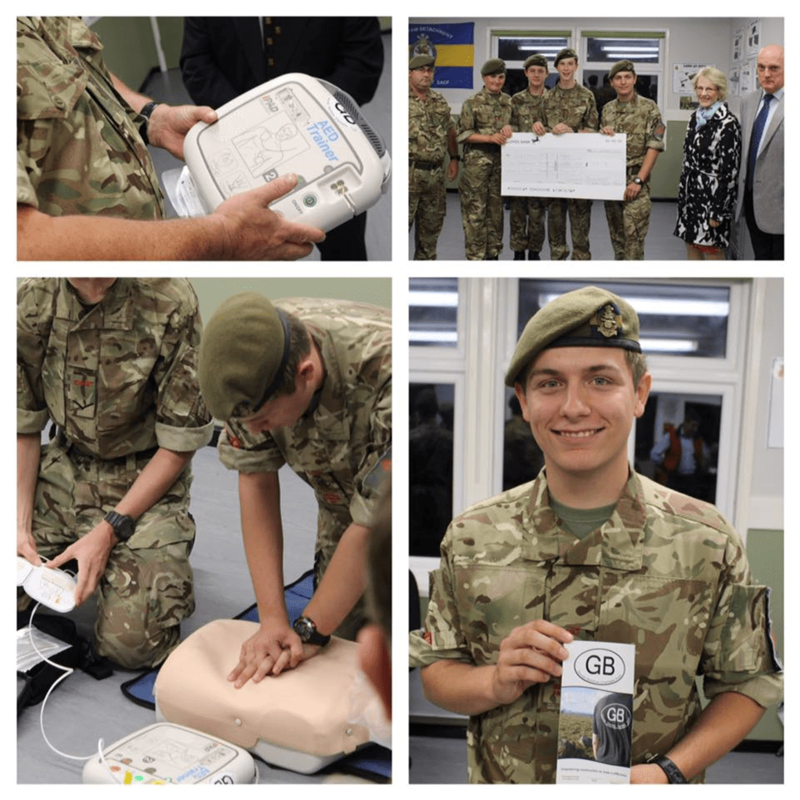 A grant of £1500 has been made to enable the charity to deliver five of their ‘How to Save a Life’ sessions, which teach young people how to deal with every day first aid and emergency situations. In addition, a number of peer educators will be trained on the GBCT supported courses, which will help the charity in achieving their aim of training up to 3000 young people across the county. GBCT’s First Aid Outreach Coordinators are currently exploring how GBCT volunteers may also be able to help in delivery of the sessions, any GBCT supporters who would be interested in volunteering should contact Kat Stoner/Mel Watson via info@gbct.org.uk. 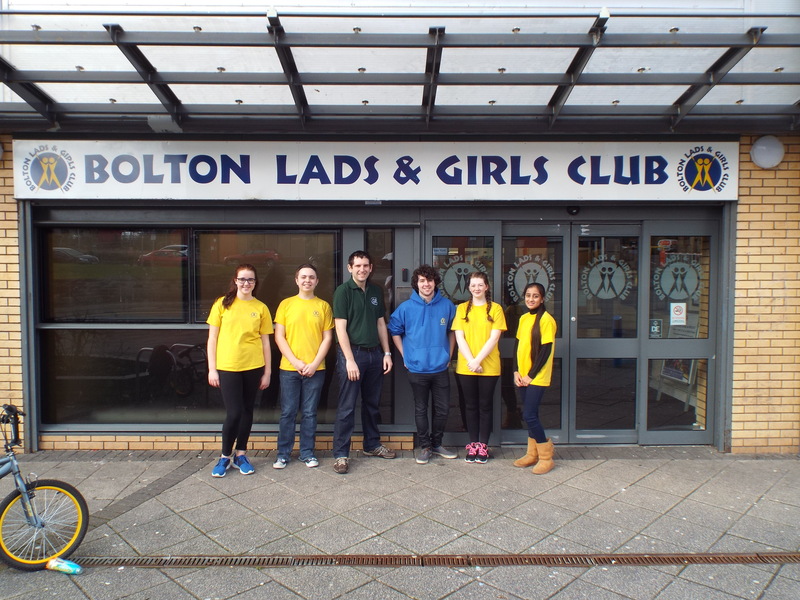 GBCT is also supporting the next generation of leaders in Bolton, funding 14 places on a Young Leaders Course at the Bolton Lads and Girls Club (BLGC) with a £1000 grant. BLGC is one of the biggest youth centres in the UK, with a membership of over 8000 children and young people. Following a successful pilot, BLGC is expanding its Young Leaders Project to train more young leaders to support the wide variety of activities that take place at the Club. GBCT Trustee Ian Cressey recently visited the Club and met a number of the young leaders and the Project Leader who were supporting the Junior Club for 8 to 12 year olds. The young leaders were running various activities, including arts, crafts, games and sports – the members were clearly having a great afternoon. It was also evident how much the young leaders were gaining from the experience of working with the young people, BLGC staff and supporters like GBCT. For example, young leaders Charlotte and Olivia led an extremely professional and informative tour of BLGC’s facilities. GBCT is proud to be supporting expansion of the project and the Trustees look forward to sharing updates on how the GBCT supported young leaders are progressing. GBCT Trustee Ian Cressey meets BLGC’s Young Leaders and project staff (From left to right: Young Leaders Charlotte and Alex; GBCT Trustee Ian; BLGC Young Leaders Coordinator Liam; Young Leaders Olivia and Ruqayyah). The Trust aims to empower local communities to make a difference. One of the ways in which GBCT supports this is through the provision of emergency aid. George had a passion for this, he was an active St John Ambulance volunteer and also worked for St John as the lead manager for the Lord Mayor of London’s AED Project. GBCT’s latest grant is to Ulverston Inshore Rescue in Cumbria. A grant of £3000 has been made to support the purchase of a new off-road vehicle to launch the lifeboat. The service was set up in 2002 following tragic deaths in Morecombe Bay and the service’s original vehicle is in need of replacement. The new vehicle will double as an ambulance and enable the team to launch their boat over a larger area, helping to mitigate a recent reduction in Coastguard provision in the area, and improve the chances of survival for those who get into difficulty in the Bay. GBCT also continues to support the provision of Community Public Access Defibrillators (CPADs). Having successfully supported the installation of CPADs in the North Yorkshire villages of Brompton-by-Sawdon and Snainton in 2015, George’s home village of Englefield Green in Surrey is the latest recipient of a GBCT grant to support the installation of a CPAD. A grant has been made to the Coopers Hill Recreational Trust to install a CPAD at their pavilion, to be available for use by sports teams using their busy facilities and by the local community. The Trustees look forward to being able to share pictures of both projects very soon.